• Overall responsibility for the Project Management department at the SDC India. • Establish and lead the team of project managers operationally and functionally. • Ensure the development and retention of team members. • Safeguard deliverables and compliance of costs, quality, as well as timelines primarily for development projects performed or overseen by the SDC India. • Interface management across the local and global organizations. • Contribute as the key leader to the performance and efficiency of the organization. • Member of the local SDC leadership Team. • Recruit and hire professional and highly skilled project management staff. • Establish and lead high performing project management team. • Provide leadership and direction for project management team to strengthen their skills, capabilities and overall professional growth in the company. • Actively contribute in the establishment of high performing leadership and project teams in SDC India. • Develop and cultivate relationships with local and global Product Development Leadership and other pipeline managers; assist project managers in issue escalations and project governance. • Navigate matrixed organization and resolve conflicts proactively. • Provide communication channels between SDC teams, SDC management and global management. • Implement project management systems, database and tools. • Establish and implement efficient processes and drive their continuous improvement within Project management, across SDC functions and with interfaces. • Provide regular training and awareness programs to the project management team and project teams in SDC India on global and local Product Development processes. • Closely collaborate with Global Sandoz functions on allocation of projects to SDC India. • Coordination, monitoring and tracking of all active projects in the SDC India from allocation to launch. • Ensure the alignment of project strategies with program and portfolio strategies. • Oversee the preparation and management of timelines, budgets, capacity plans and priorities for all active projects in SDC India. • Challenge project schedules with project managers; ensure management of timelines through critical path analysis. • Provide feedback to project managers on project risks mitigation plans. • Be the primary interface between global and local Product Development teams. • Prepare, update and oversee all project management reports and communication tools at a global and local level to foster transparency for all involved groups. • Review global project database for compliance to standards for entry of project data. • Review project data within databases and interpret data for business trends. • Prioritize project deliverables with Product Development and other department peers. • Monitor completion and reporting of key product development targets. • High performing project management team with high level of customer satisfaction. • High level of awareness across SDC in terms of project priorities and status. • Strong organizational framework with efficient and lean processes. • Achievement of agreed project deliverables, i.e. number of filings and launches, milestone and budget accuracy. • Consolidation of reporting on project progress: meet timelines, quality and budget according to endorsed project execution strategy. • Consolidation and reporting of probability of success for SDC India projects. 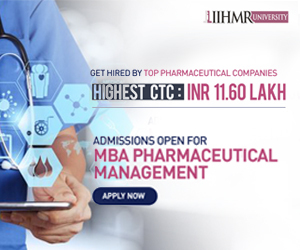 PhD in natural sciences (pharmacy, chemistry or similar) or MSc / MBA with profound project management experience in pharmaceutical industry; project management trainings; English Minimum 10 years’ experience in pharmaceutical development environment with min. 5 years of program/project management experience including complex projects and multi-projects management. Min. 3 years of leadership experience with leading the team of direct reports. Experience with setting up high-performing teams and efficient processes. 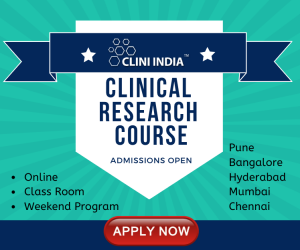 Excellent knowledge of (generic) pharmaceutical environment with good understanding of R&D. Proven ability to communicate and collaborate effectively and lead teams of direct reports.